» Daily landscape-level snow cover percent data from (Rich, et al 2013) TLFS, IMVT, and SDOT sitse, in the northern foothills of the Brooks Range, Alaska,spring 2011 to 2014. The Toolik Lake Field Station (TLFS) and Sagavanirktok River-Department of Transportation camp (SDOT) sites were deglaciated ~65,000 yr BP, following the Itkillik I glaciation (Hamilton 2002). The Imnavait Creek (IMVT) site was deglaciated ~120,000 yr BP, following the Sagavanirktok River glaciation (Hamilton 2002). Snow cameras were mounted on tripod assemblages, ~ 5 meters from the ground to capture landscape-level images four times daily in the Shrub plots at each of the four sites. The Shrub plots represent a gradient of shrub statures, with maximum deciduous shrub heights of approximately 22 cm (IMVT), 35 cm (TLFS) and 84 cm (SDOT) (Rich et al. 2013). Differences among Shrub plots are related to topography and water flow. The IMVT Shrub plot, which has the shortest shrubs of the three sites, is associated with water movement because it is located in an area with water tracks, and the site represents vegetation typical of water track tundra as described in Chapin et al. (1988). 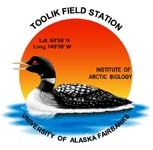 The TLFS Shrub plot, which has medium stature shrubs, is located at the outlet of Toolik Lake, where proximity to a large body of water, substrate conditions, and the presence of large rocks may promote root lengthening and shrub growth. The TLFS Shrub plot represents vegetation typical of shrub tundra described in Shaver &amp;amp;amp;amp;amp;amp;amp;amp;amp;amp;amp;amp;amp;amp; Chapin (1991). The SDOT Shrub plot, which has tall and structurally complex shrubs, is a riparian community (Rich et al. 2013). The Shrub plot at SDOT has the deepest thaw depths among all of our plots and represents vegetation typical of riverside shrub tundra as described in Giblin et al. (1991), which tend to have deeper thaw depths compared to other tundra vegetation communities (Shaver &amp;amp;amp;amp;amp;amp;amp;amp;amp;amp;amp;amp;amp; Chapin 1991). Snow cameras are installed in mid-May and digital photos are used to quantify snow cover through the melt period. Cameras rented from SID Inc. are removed and shipped back to SID Inc. once snowmelt in the field of view of the camera is complete (or near complete, &lt;5% snow cover remaining). The photos are taken every day, either once or three times per day, depending on the site and camera being used. The following describes the cameras being used at each field site. The photos show what their field of view should be when set up each year, and the below table gives a summary of which camera(s) was (were) used in which year at each site. TLFS: We are using our own camera rented from SID Inc. (NetCam SC, StarDOT Technologies, CA, USA). The camera is mounted at 3.32 m above ground and is located upslope of our Shrub plots at TLFS and takes a photo every day at approximately 6am, 12 noon and 6pm. IMVT: We are using our own camera rented from SID Inc. (NetCam SC, StarDOT Technologies, CA, USA). The camera is mounted at 3.54 m above ground and is located upslope of our Shrub plots at IMVT and takes a photo every day at approximately 6am, 12 noon and 6pm. SDOT: We are using our own camera rented from SID Inc. (NetCam SC, StarDOT Technologies, CA, USA). The camera is mounted at 3.32 m above ground and is located south of and adjacent to our Shrub plots at SDOT and takes a photo every day at approximately 6am, 12 noon and 6pm. Post-processing and analysis of photos was done using ENVI or ImageJ remote sensing software and in Excel, and the fraction of snow cover in each image on each day was calculated: Fraction snow cover = (# snow covered pixels) / (# snow covered pixels + # snow free pixels). This was converted to a percent by multiplying by 100. Version: Added 2014 data. S. Sweet.